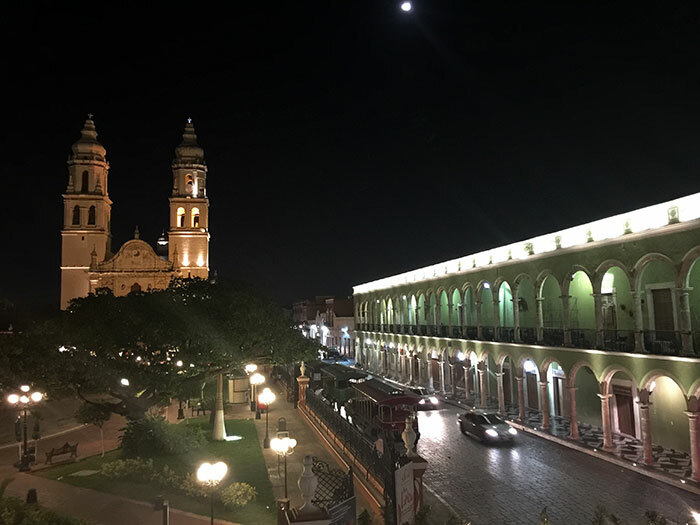 In 1999 it was declared World Heritage Site by UNESCO as “Historic Fortified Town of Campeche”. 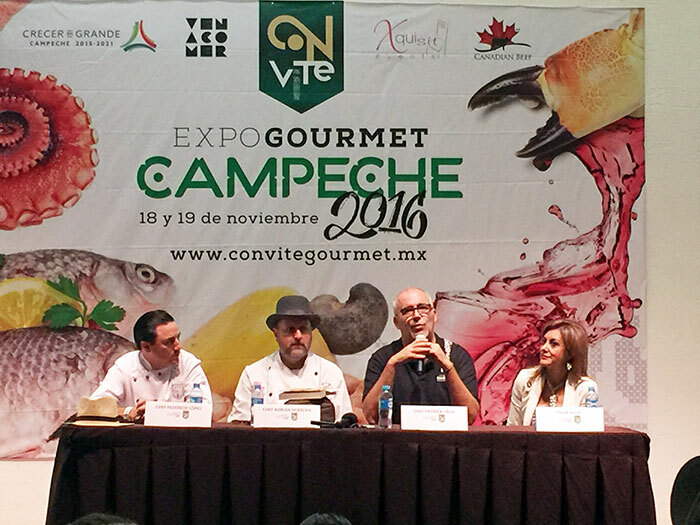 On November 18 and 19 I was invited to the first Expo Gourmet Campeche, in the city of Campeche, located southeast of Mexico and west of the Yucatan peninsula. A peaceful city with a lot of history, culture, landscapes, and a rich gastronomy. 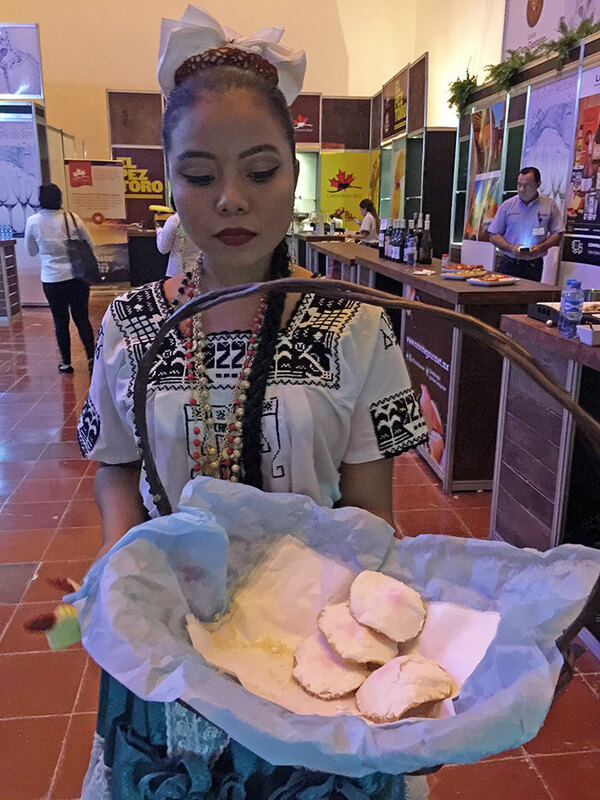 Under the slogan of making “Campeche popular forever”, this first festival began, where not only did we enjoy its food, ingredients and rich geography, but we also discovered a city with friendly, generous people, and where safety is noteworthy. It was a very intense weekend, where we had a pleasant welcome upon our arrival from Mexico City. 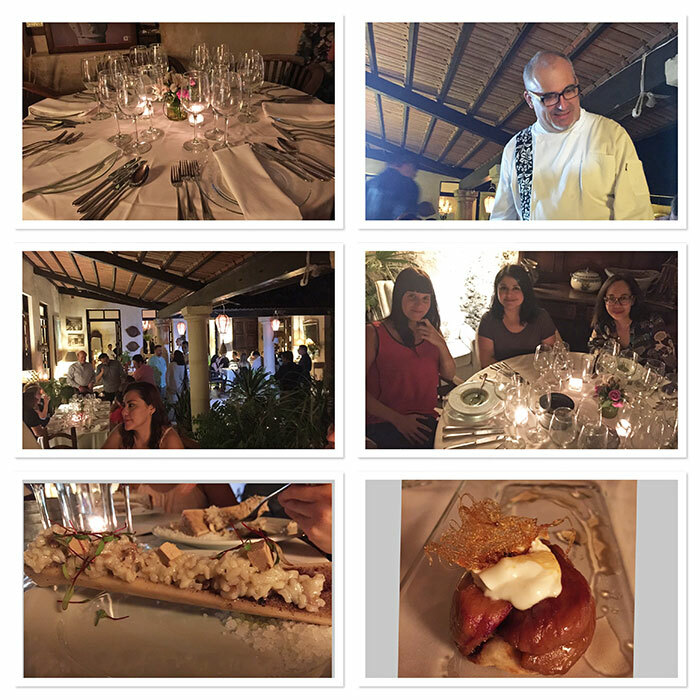 I must say that that night was magical, since we entered the Casa de los Murmullos (the House of Whispers) of Chef Patrick Cros and Paco Castilla, we were treated so warmly, so pleasantly, and this suited perfectly with the fact of being able to share with other people with whom we had the pleasure of enjoying a spectacular dinner. I must mention that I fell in love with the Risotto in marrow, and Foie Gras over thick salt. 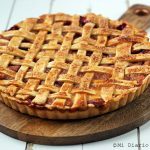 The next day was the press conference, where it was clearly spoken of the need to make this city well-known for all its geographical, historical and, above all, gastronomic qualities. 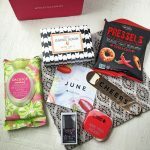 This initiative was led by Chef Patrick Cros, who brought together a select group of Chefs and collaborators to simply make a great celebration of this Expo Gourmet. 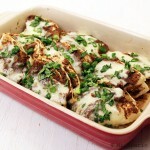 The intention is to place Campeche as an important gastronomic destination of Mexico. 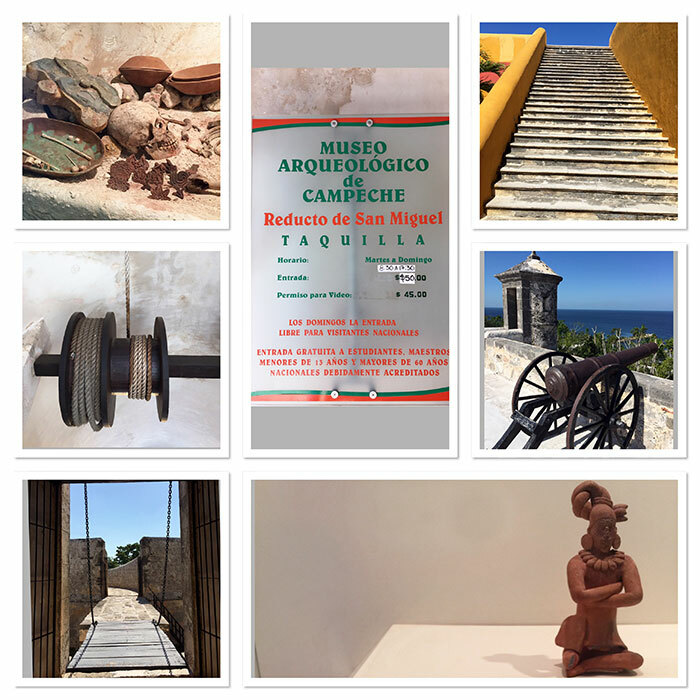 As you can see, Campeche has a lot to show, for example it has several museums, one of them that I visited on this trip was the Fort of San Miguel, the Archeological Museum of Campeche, which has several pieces from different Mayan cities. 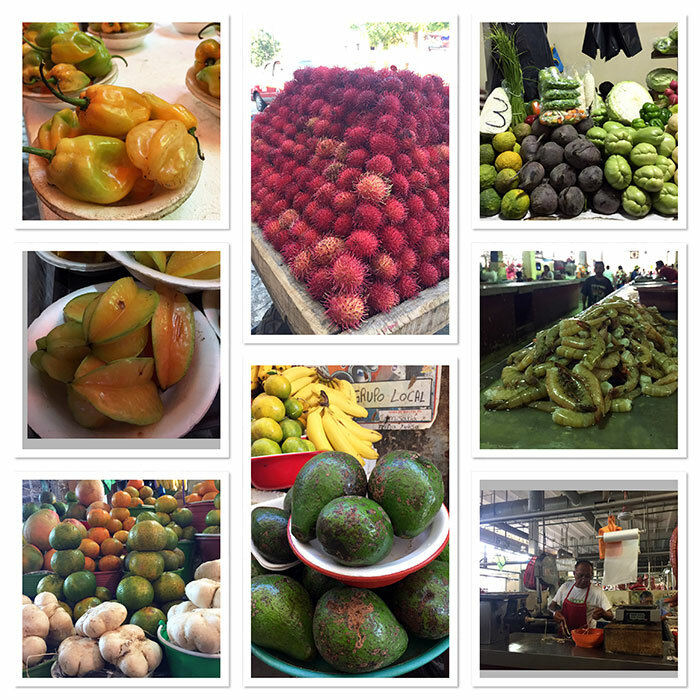 It is often said that one can get to know a city through its gastronomy, and what better to start with the markets. 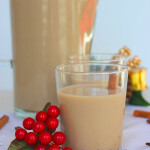 In them we see the reflection of its inhabitants, their customs, their ingredients and traditions. 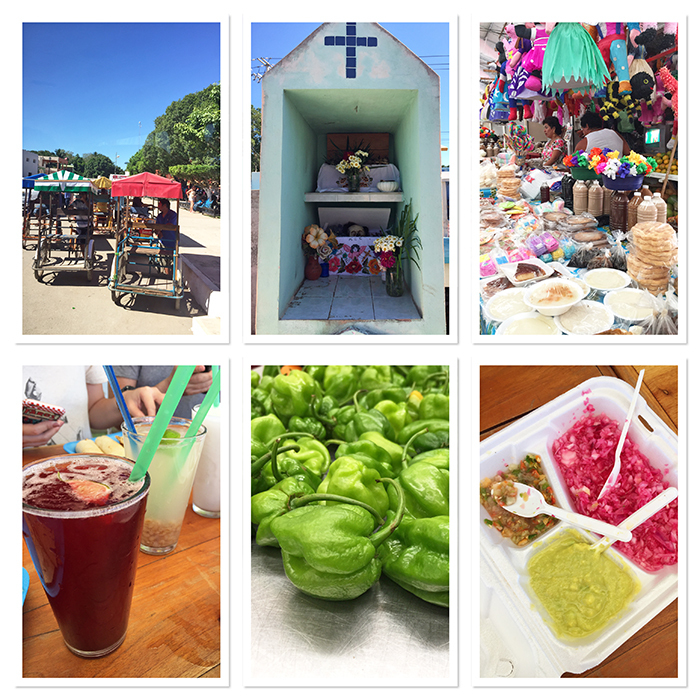 That is why we had to visit the market of Pedro Sainz de Baranda, where on our tour we could see local products from the region, many types of fruits, fish, sweets, and of course some small places where you can taste the flavors of Campeche. 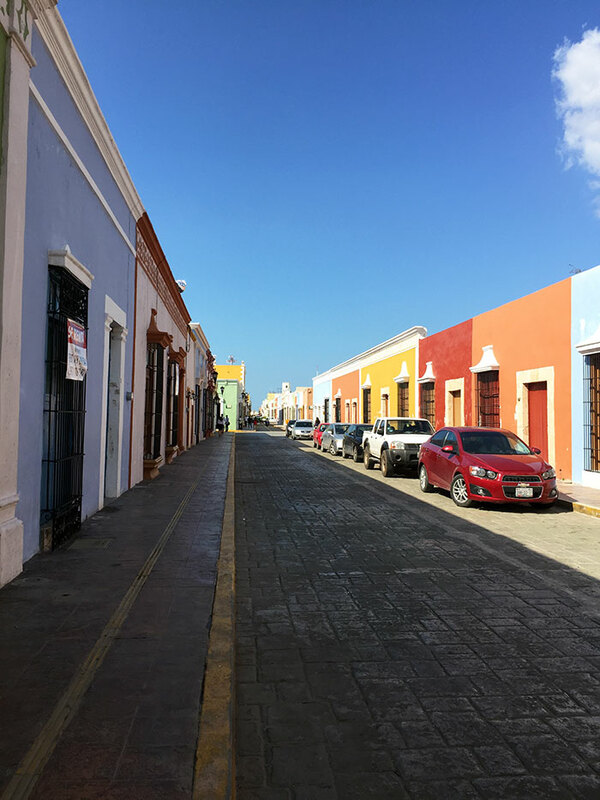 In Campeche you can find the popular Calle 59 (i.e. Street 59), the urban heart where you can see an architectural treasure, having several businesses and restaurants, as well as private homes. 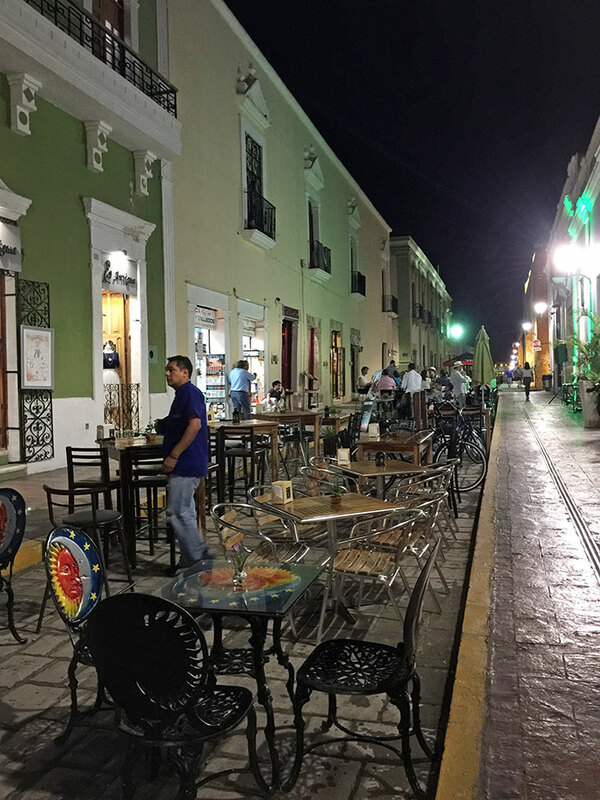 Without a doubt I must recommend the Salon Rincón Colonial cantina, there you can enjoy some Botanas (snacks or appetizer), just for the consumption of some beer. Spectacular, to say the least. 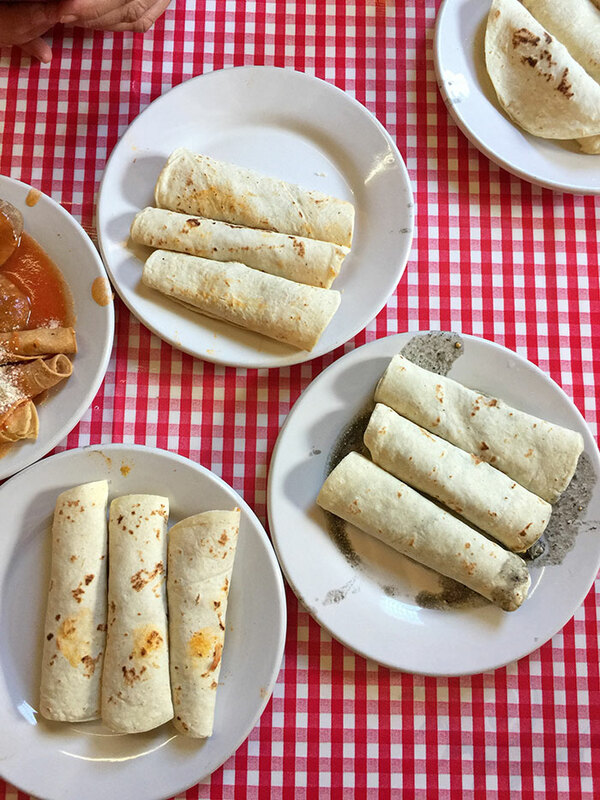 We could taste a series of tacos and the popular Pan de cazón (a type of bread), a very typical dish of Campeche. 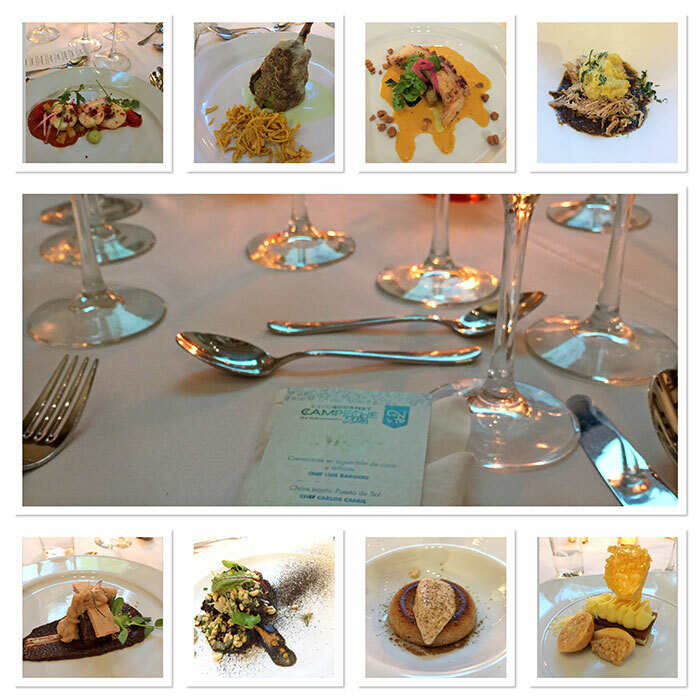 On Friday we again had a spectacular dinner, where the chefs invited to the event worked in several restaurants around the area. 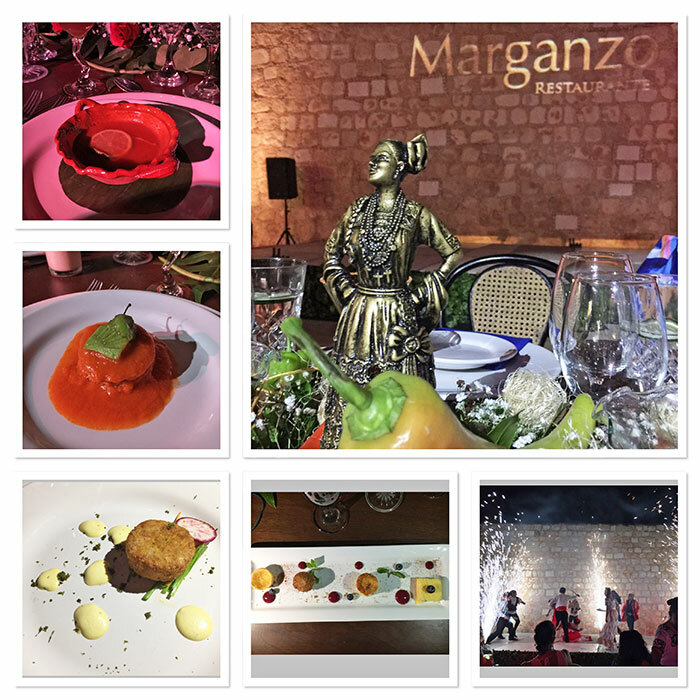 With my fellow travellers we were lucky enough to enjoy the well-known Marganzo Restaurant, and taste a 5-course dinner by Chef Federico Lopez. 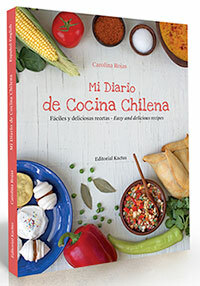 The menu consisted of Sopa de lima de la familia (a type of soup), Mini pan de cazón (a type of bread), Crab cake de cangrejo moro (Stone-crab cake), Pulpo en salsa de frijol con habanero y plátano macho (Octopus in bean sauce with habanero pepper and male plantain), Camarón en manto de filete de res campechano (Shrimp in a cover of Campechano beef tenderloin), 4 dessert samples, and all such delicious dinner was accompanied by varieties of Mexican wines. That evening was a really luxury. 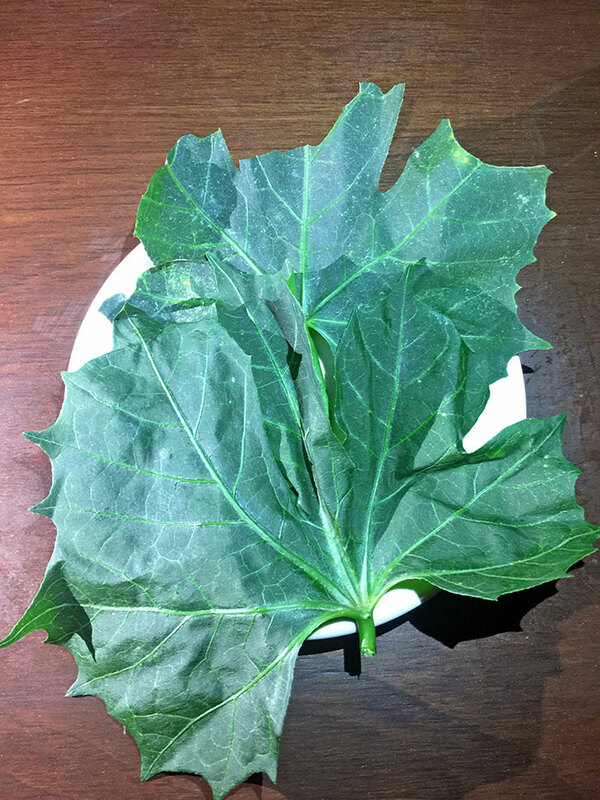 This is the chaya leaf that the owner of the Marganzo Restaurant kindly showed to us, since I particulary loved the juice of water from the chaya leaf and pineapple. 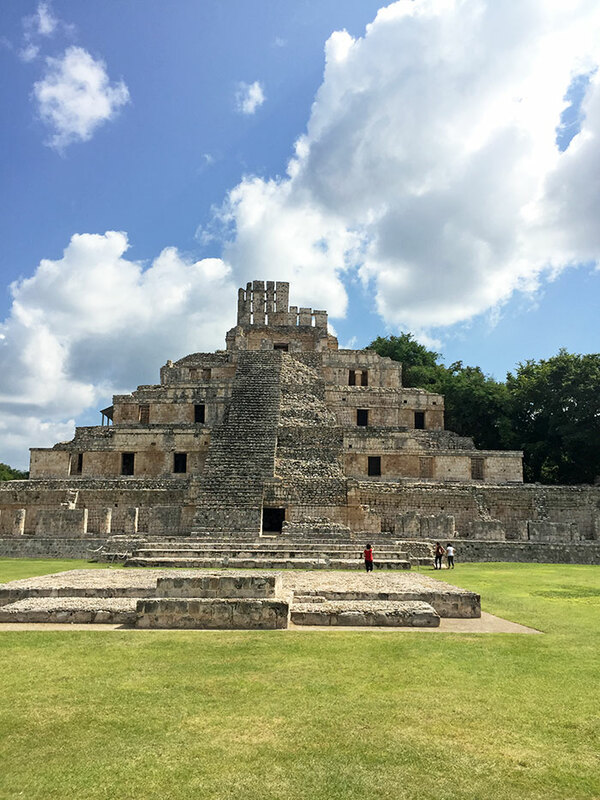 On Saturday we toured the archeological zone of Edzná, which is located 60 kilometers (37 miles) southeast of the city of Campeche. Visiting that area is a must. There you can count on guides if you so desire, and discover with your own eyes all this architectural beauty created by the Mayans, and how this city worked in those times. 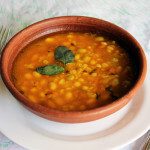 Saturday also belonged to the La Pigua Restaurant, where at lunchtime we sampled the most typical flavors of Campeche. 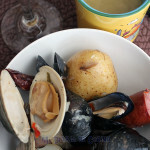 This city has an extensive coast, so they have fresh and delicious seafood. 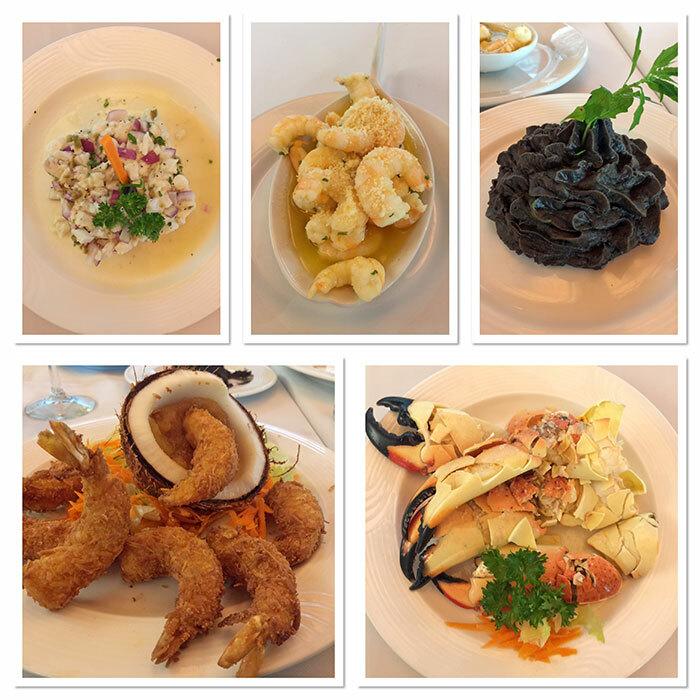 At that time we tried Coconut Shrimp, Stone-Crab Hands, Cayo Arcas Shrimp, and Ceviche. Visiting that place is also a must. Mouse de queso de bola acompañado de ate de guayaba y miel de piloncillo (Ball-cheese mousse accompanied with guava-jelly and panela honey) from Chef Gisela Trejo. In this trip, the great discovery for me was to learn about the Mexican wines. I was able to taste a variety of wine-types from several vineyards of the northwest zone of Mexico. 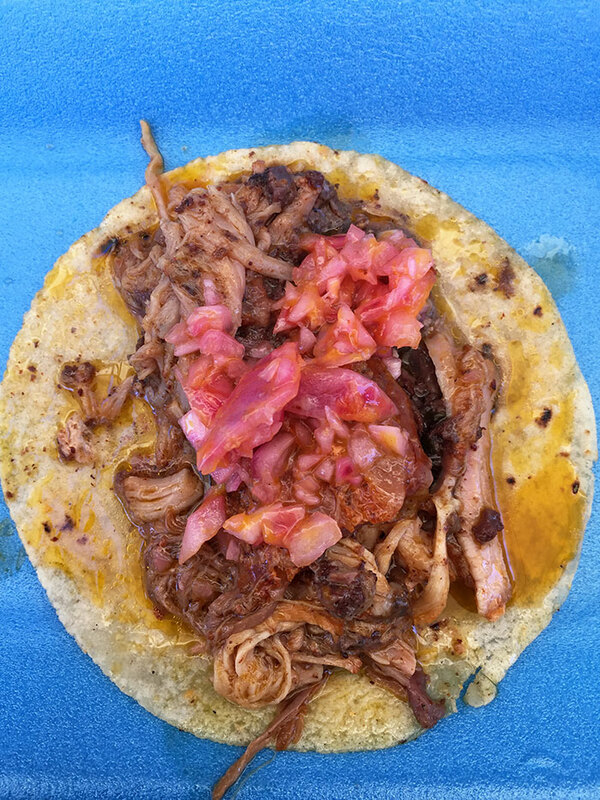 On Sunday we went to Pomuch to have breakfast, and try the best “cochinita pibil” (a traditional Mexican slow-roasted pork dish) in the area. 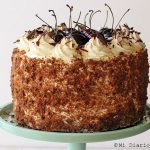 It was really worth the trip, I had never tasted such intense and tasty flavors, a delight to say the least. 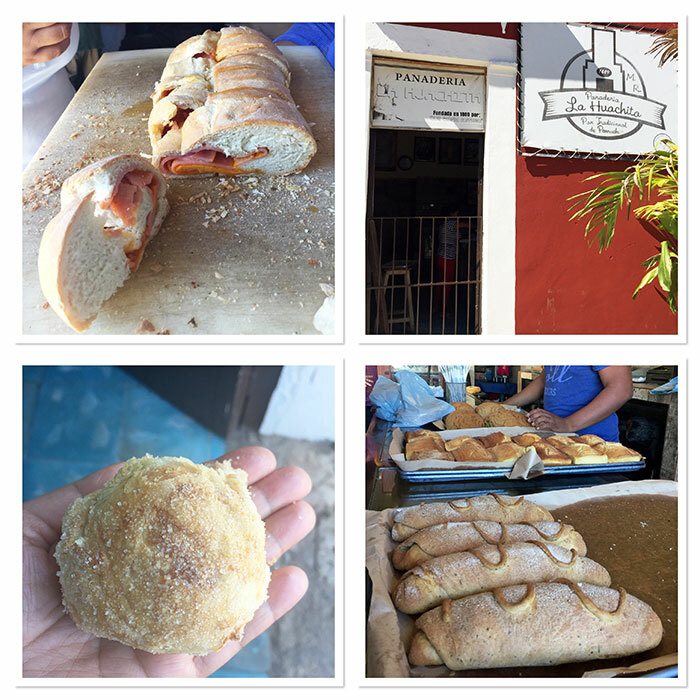 We also took advantage of visiting the oldest bakery in the area, where bread is made with traditional recipes from its founders. 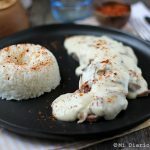 There you can try the “Pan de Pichón” (Pigeon Bread) that is stuffed with ham, yellow cheese and jalapeño among others. In Pomuch we also visited the Mayan cemetery, where we discovered the way in which its people celebrate their dead, as after some years they remove the remains of their tombs to clean them, and then put them back in a reduction coffin with cloths made by people of the area, and their remains are actually exposed. 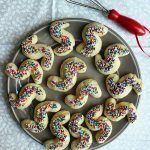 It is a very old tradition, where people believe that if this is not done, then their beloved deceased ones will not return to visit their relatives. It’s quite a strong feeling to witness that, but it shows a perspective of celebrating death in a less tragic way. 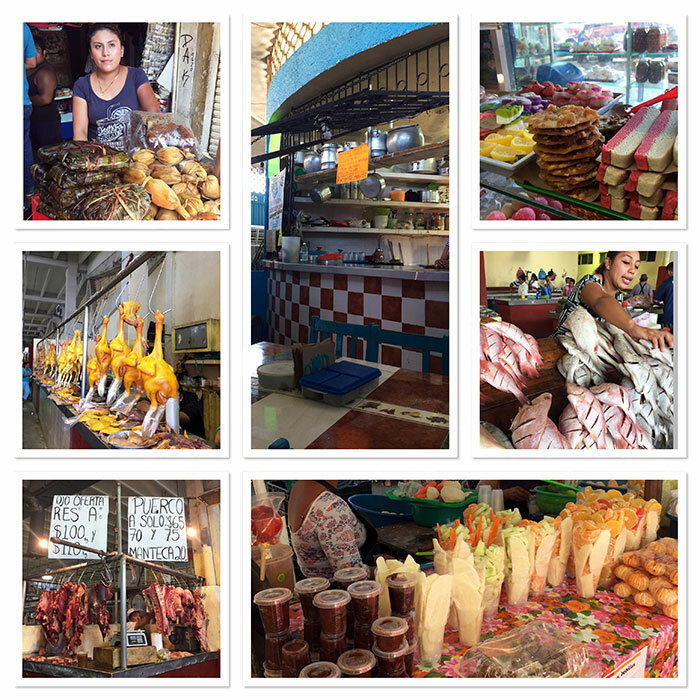 We of course took advantage of the opportunity to go take a tour of the “José del Carmen Ortegón” municipal public market, where we found varieties of products and typical clothes of Campeche. 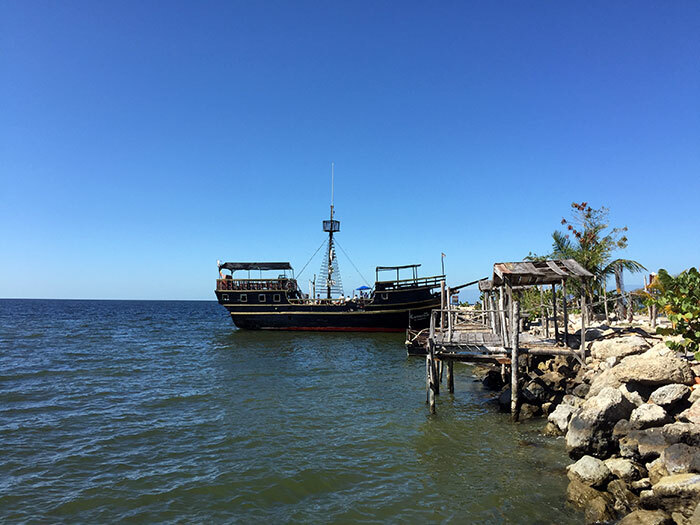 As a finishing touch, we culminated this gathering by touring the Bay of Campeche aboard the pirate ship “Lorencillo”, which offers meals and dinners, and one can enjoy the relaxation from the sea with a beautiful postcard-like sight of Campeche. 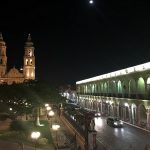 In conclusion, I must say that Campeche was quite a discovery for me. Thanks to Chef Patrick Cros and his entire team for organizing an event that will undoubtedly be a path to promote this city that has a great gastronomic and cultural wealth. 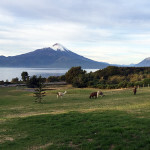 That is why I invite you (if you want to visit Mexico) to this city, as being one of the best options to begin with. And it’s definitely time to make Campeche popular forever!